Jared works in the portfolio division at Ironwood Wealth Management assisting in activities such as daily portfolio transactions, performance verification, and analysis. 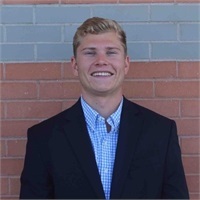 He graduated from the University of Arizona with a finance degree from the Eller College of Management and is currently pursuing his Chartered Financial Analyst Designation. In his spare time Jared enjoys playing basketball, snowboarding, spending time with family, and reading.